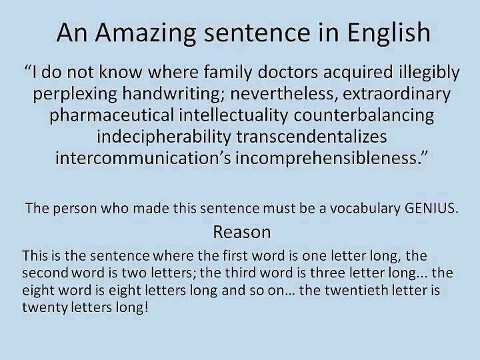 The English language can be confusing and difficult, but it can also be amazing and insightful. 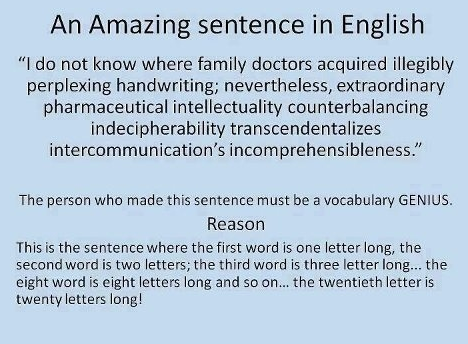 In this image from i.imgur, you get a small taste of the neat tricks you can do with the language. 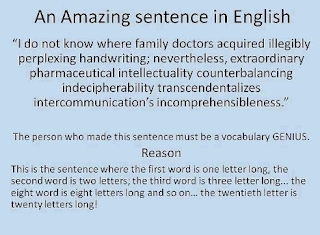 The sentence featured on this image has a unique pattern to it. Can you figure it out without reading the answer?